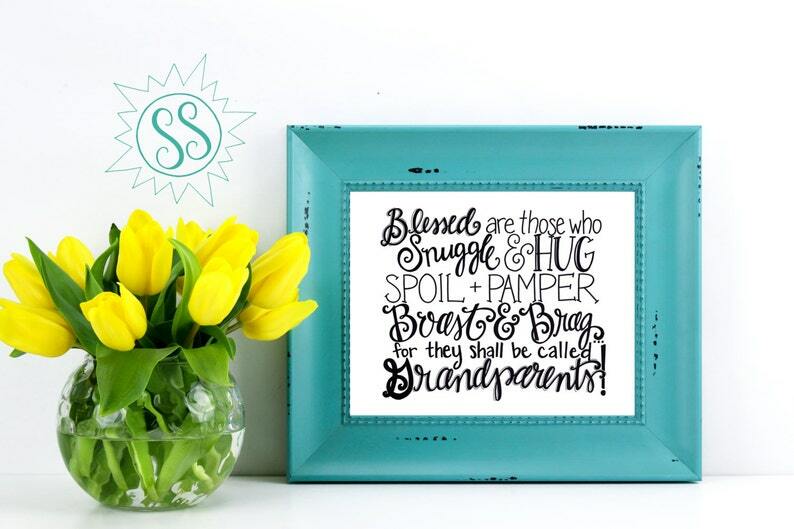 "Blessed are those who snuggle & hug, spoil & pamper, boast & brag, for they shall be called Grandparents!" This sweet 8x10 would make that sweet GiGi or Poppa in your life swoon with joy and pride! Grandparents are such a blessing - a blessing we probably too often take for granted. This would be such a personable way to tell them how much they truly matter!! This is NOT sold as a framed piece. This will not be shipped to you. It is an instant jpeg file download. Please contact me directly at jessgard83 [!at] gmail.com with any questions!